The South Asian Games is a biennial multinational multi-sport event held among the athletes from South Asia. The governing body of these games is South Asia Olympic Council (SAOC), formed in 1983. At present, SAG is joined by eight member countries namely Afghanistan, Bangladesh, Bhutan, India, Maldives, Nepal, Pakistan & Sri Lanka. The South Asian Games, a multi-sport event, is the regional Games of the Olympic Council of Asia. Since it was first hosted by Kathmandu, Nepal in the year 1984, except for few occasions the event is taking place every alternate year. This mega multi-national sports event is held among the athletes of the South Asian countries in various locations across the region. 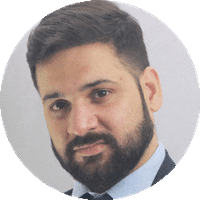 The event is presently joined by the eight South Asian countries namely Afghanistan, Bangladesh, Bhutan, India, Maldives, Nepal, Pakistan and Sri Lanka. 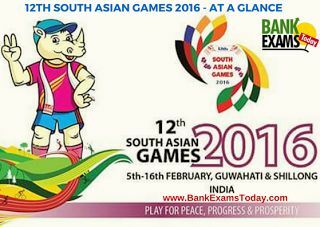 The 12th South Asian Games will be conducted in 26 venues across the cities of Guwahati and Shillong. 17 venues in Guwahati and 9 venues in Shillong are developed to carry out the various sporting events. Prime Minister of India, Narendra Modi inaugurated the 12th edition of South Asian Games 2016, on February 5, at the Indira Gandhi Athletics Stadium in Guwahati, Assam. 'Play for Peace, Progress and Prosperity’. Theme Song of 12th South Asian Games is "Ei Prithibi Ek Krirangan" which literally translates to "The world is a playground" was written by Dr. Bhupen Hazarika (1926–2011) a notable personality of India. The logo brings eight petals representing the participating eight countries in the 12th South Asian Games that are Afghanistan, Bangladesh, Bhutan, India, Maldives, Nepal, Pakistan and Sri Lanka. TIKHOR, a one-horned rhino that represents endangered fauna of Assam found in Kaziranga National Park is the official mascot of the event. 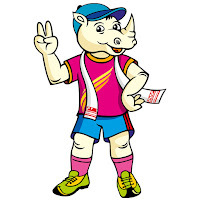 The Mascot for 12th South Asian Games, TIKHOR is the Brand Ambassador of the 12th South Asian Games, 2016. There are 23 sport disciplines for the 12th South Asian Games of which 16 will be held in Guwahati (Assam) and 7 in Shillong (Meghalaya). 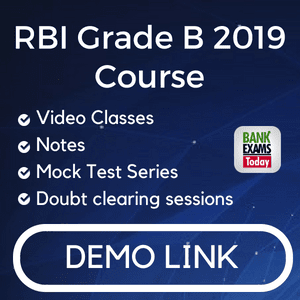 Sport disciplines are Athletics, Archery, Badminton, Cycling, Boxing, Football, Judo, Handball, Table tennis, Tennis, Hockey, Taekwondo, Kabaddi, Wushu, Kho-kho, Shooting, Squash, Swimming, Triathlon, Volleyball, Weightlifting and Wrestling. Flag Bearer: Squash Player Gaurav Ghoshal was the flag bearer of the Indian contingent. Cycling: Indian Women wins Gold and Silver. Sri Lankans dominate in the Men’s event. Sri Lankan swimmer bagged two gold. Indian women win SAG table tennis team event gold. Team India wins Gold Medal in 40 Km Cycling. Indian Archers (L Devendro Singh, Madan Lal, Shiva Thapa, Dheeraj, Manoj Kumar, Mandeep Jangra and Vikas Krishan) won most gold medals in Individual category. Joshana Chinappa won gold in Squash. India bags gold in SAG men’s Wushu. Archery; India gets gold in Compound Team. Indian women cyclists clinched Gold, Silver and Bronze in 80 Km race. Weightlifting: 105 kg Category Gold goes to Pakistan, Silver to India. Indian eves won gold and silver in Shot Put. India claim mixed doubles table tennis gold. Tennis: Medals shared by India & SL. Women’s Double TT: Indian won Gold and Silver. High & Long Jumps gold goes to India. Pole Vault medals shared in three countries. India won gold and silver in Discus Throw. Neeraj won Gold for India in Mens Javelin Throw. Triple Jump: Indian men captured gold & silver. Gold & Silver for India in Men’s Shot Put. Chithra won Gold in Women’s 1500m Run. India cross a staggering 300 Medals mark. Nepal clinch the Men's Football Gold by defeating India 2-1. Womens Football Gold grabbed by India. India grabs all 7 Golds in Boxing in day 3. 12 New Records created in Athletics this South Asian Games. Boxing: MC Marykom (India) enteres final in Women's (48-51 kg) Fly weight category. Bangladesh wins Bronze Medal in Mens Football, defeats Maldives 7-6 in tie breaker. India's Gold Medal tally crosses 180. Free Signal Feed for telecast of the SA Games 2016 to the foreign broadcasters of the participating countries.